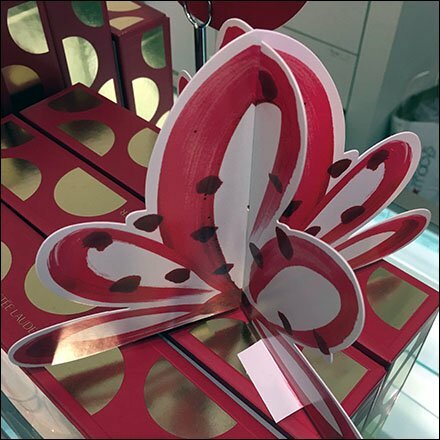 Need a durable festive touch for the Holiday consider these Estee Lauder Dimensional Cardboard Bow creations. Always fresh and perky, standing upright, and adding a cheerful look wherever positioned. Consider this Estee Lauder Dimensional Cardboard Bow in the gallery of images. Seen at Macys.